“The year was 2007. MySpace was the coolest, an ancient melon had been discovered in Japan, Avril Lavigne had just released her third album, and Facebook was worth less than $15 billion. 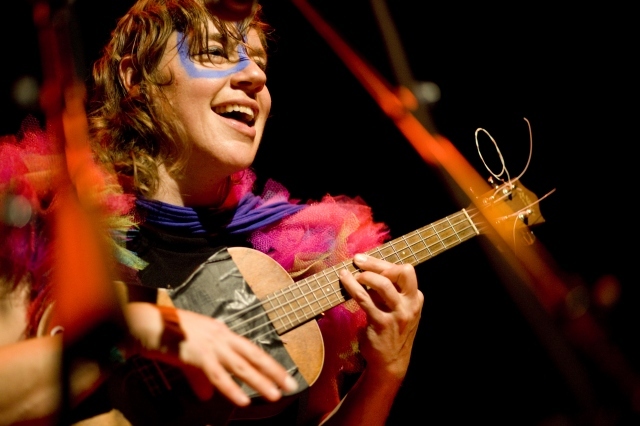 And a young performer named Merrill Garbus was beginning to get a name for herself as tUnE-yArDs, playing around Montreal and her native Vermont. Check out the Venus Radio blog to have a listen! Tune in to Venus Radio every Thursday from 12-2pm to listen to all the best music by all the best ladies! This entry was posted in CKUT programming and tagged merrill garbus, tune-yards, Venus on March 7, 2012 by admin.